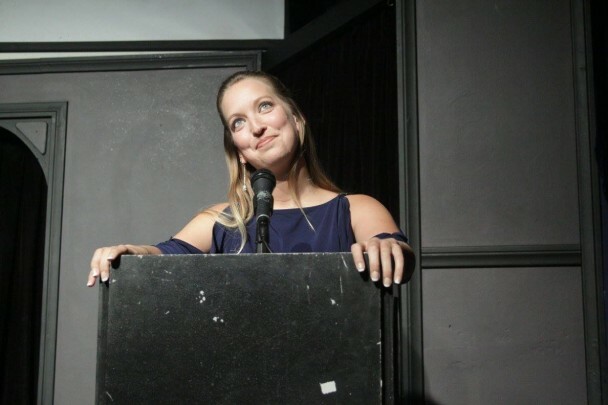 The 2015 Del Close Awards ceremony was held last week, and it was a big success! Congratulations to all the winners, especially to two-time winner Heyday for Best Harold Team and three-time winner Lauren Miller for Most Satisfying Service! See the full list of winners here. A big thank you to Lauren Miller for her excellent performance as host, as well as to Philip Wilburn as announcer, Babbs and Maria Lopez as Technical Del Awards presenters, Shane Hartline as trophy presenter, and John Conroy for DJ-ing the after party. And of course, a special thanks to our committee — Mike Hughes, Stacy Rumaker, Erik Voss, Markeia McCarty, Tommy Bechtold, and Dan Banas.